- Use your mouse to insert a tile at the side of the board. - Click on a tile to walk to it. You can only walk to the tile if there is a path. - Hold and drag your mouse to rotate a tile. - Grab fruit in the right order. - Avoid creating a path between skulls and yourself. - The longer your paths, the more points you will get. - Create combos by grabbing more than one piece of fruit in one move. If you want to play Dukateers Scurvy Scavenger games online you have come to the right place! GamesLoon adds new Dukateers Scurvy Scavenger games every week. This is your game portal where you can find the biggest collection of free Dukateers Scurvy Scavenger games online. 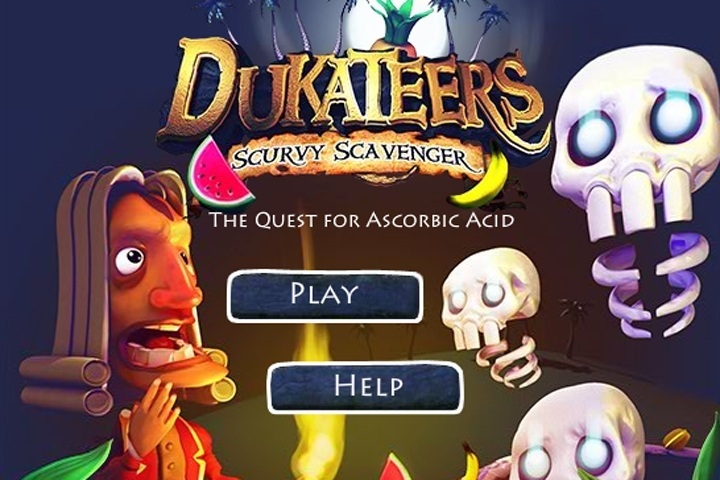 Do not forget to rate our Dukateers Scurvy Scavenger free online games while playing!